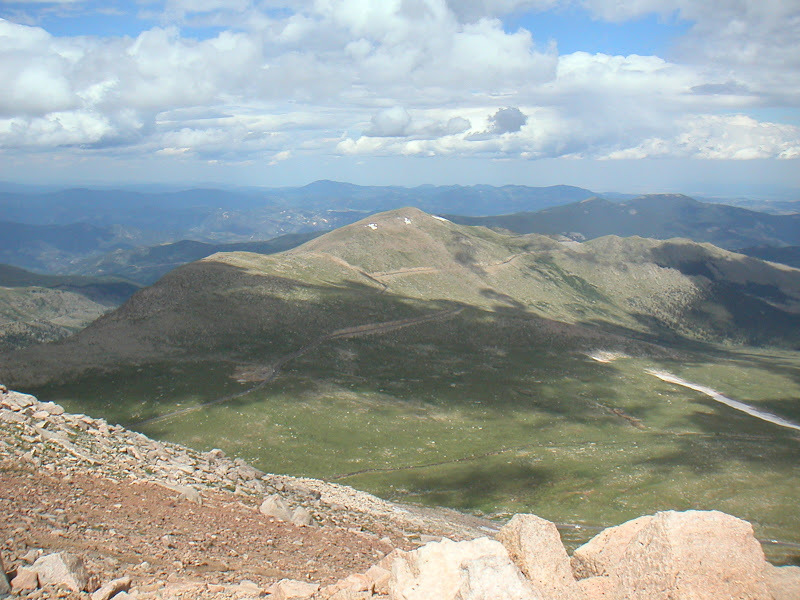 Mount Evans is big, really big. 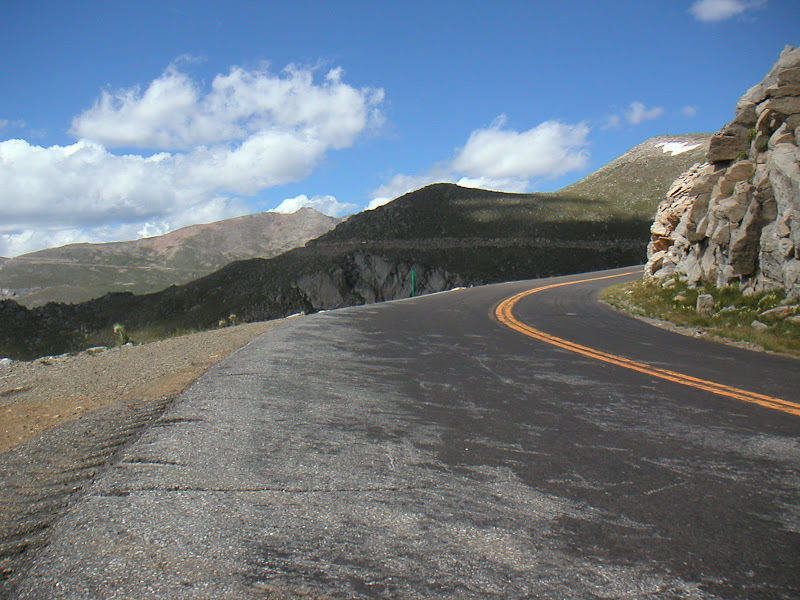 The road that leads to the summit is the highest paved road in North America (and any outside of the Andes or Himalayas), reaching 14,127 feet above sea level. Altitude is the main difficulty: climbing from 12,000 to 14,000 feet is a lot different from climbing from 10,000 to 12,000 feet. Wind is another difficulty: above tree line, the wind gets a clean shot, and because the road turns so wildly, at some point there will be a headwind. 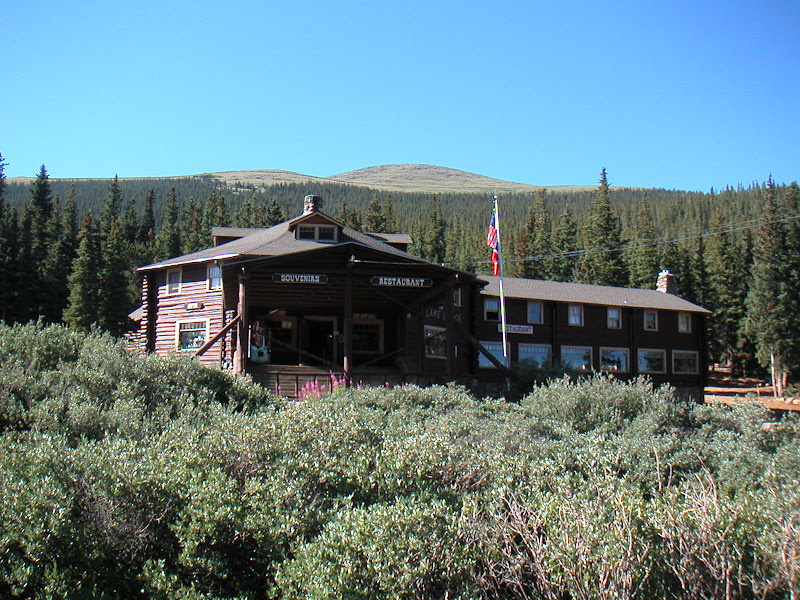 The most common climb starts in Idaho Springs (see Mt. 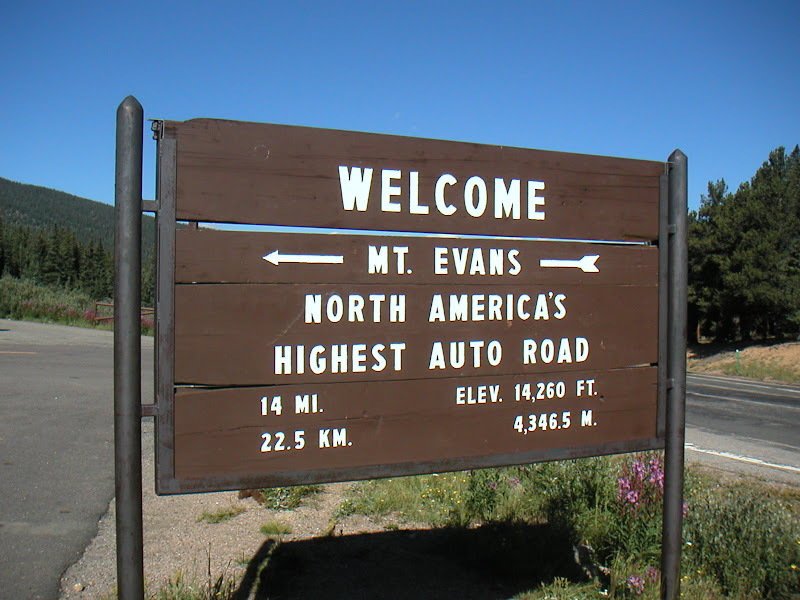 Evans Hillclimb). 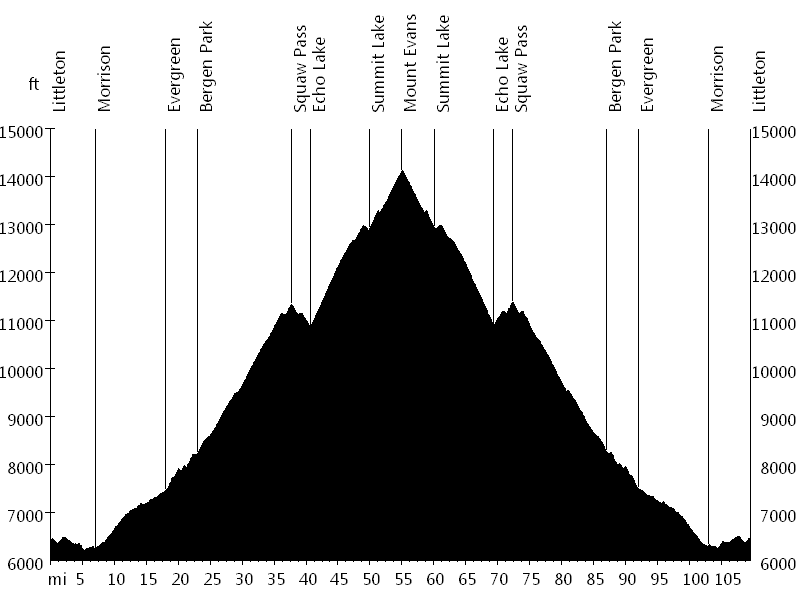 However, a longer climb with more elevation gain starts at the bottom of Squaw Pass in Bergen Park, or even further down, in Morrison. To make it a full century, the current ride starts in Littleton. The first miles from Littleton to Morrison lead along the C470 bike path. In Morrison, a gradual 11 mile climb leads up Bear Creek Road to Evergreen, followed by several miles of upward rolling hills to Bergen Park. The route then leads up Squaw Pass Road to Echo Lake, an 18 mile climb. 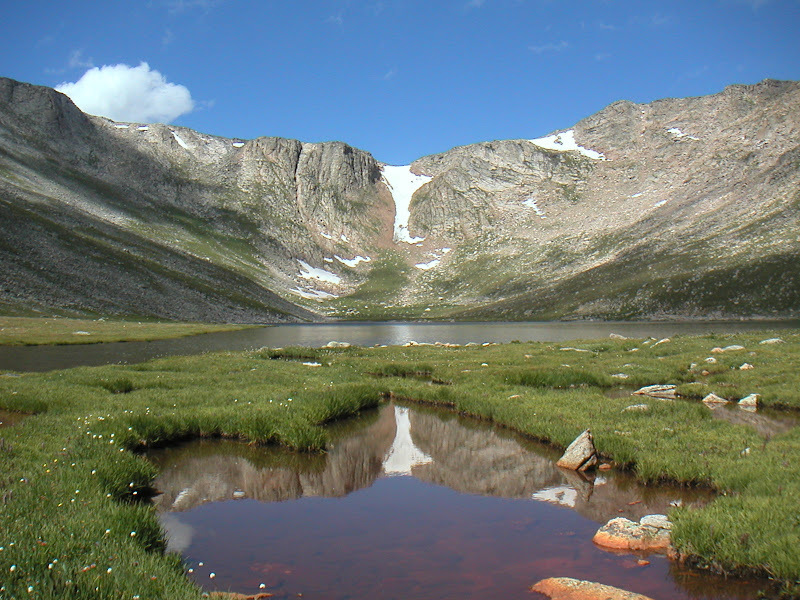 After Echo Lake, the route leads up Mount Evans Road (fee area), a nine mile climb to Summit Lake, and another five mile climb to the top of Mount Evans. 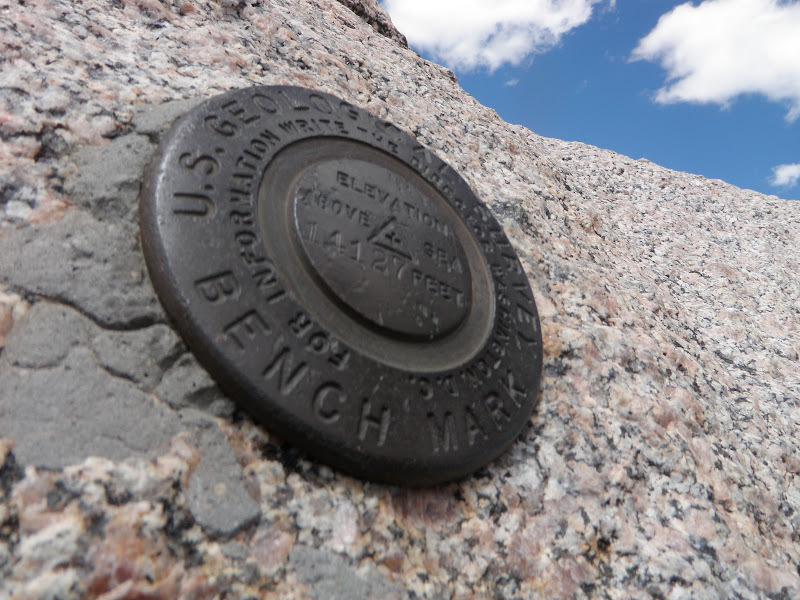 On the long way to the top, three different ecosystems of the Rockies are passed: Montane (below 9,000 feet), Subalpine (between 9,000 and 11,400 feet), and Alpine (above 11,400 feet). 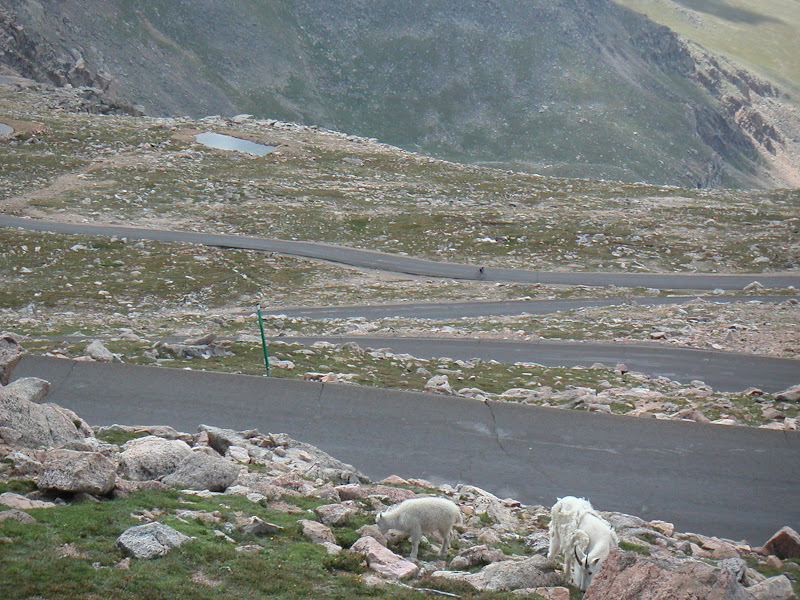 It is common to see mountain goats at the summit. I flew into Denver for a six day cycling tour of the Colorado Rockies, arriving a day and a half ahead of time. 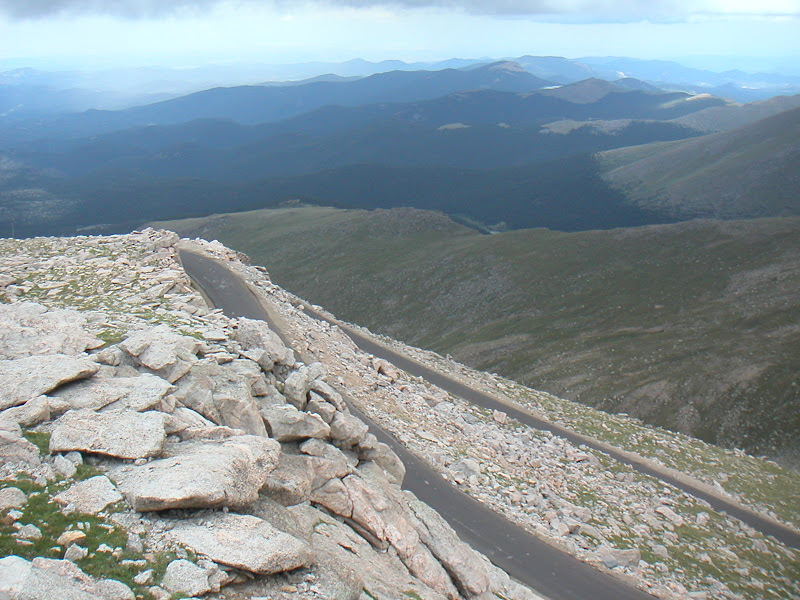 One of the highlights of the tour would be the climb up Mount Evans on the final day. 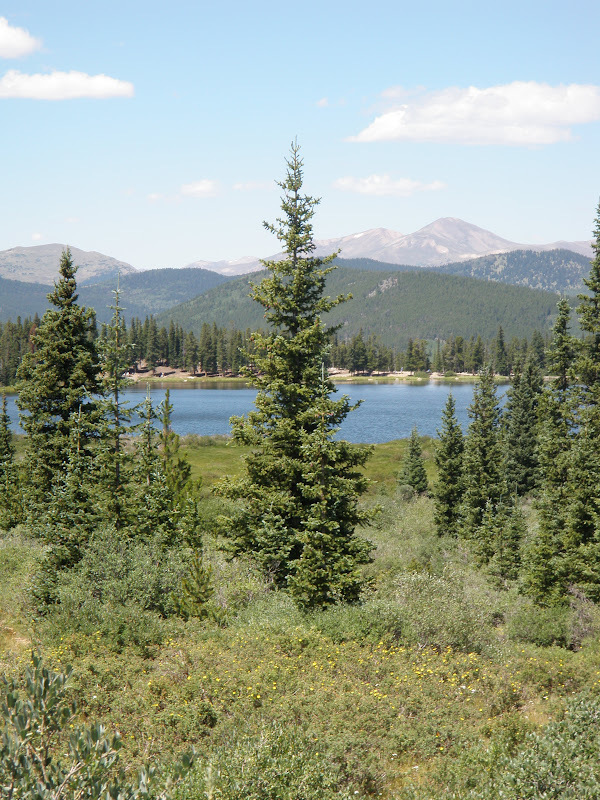 Since the weather forecast did not look too good and there was a chance that bad weather could prevent us from riding Mount Evans, I decided to go for this ride by myself before the start of the tour. 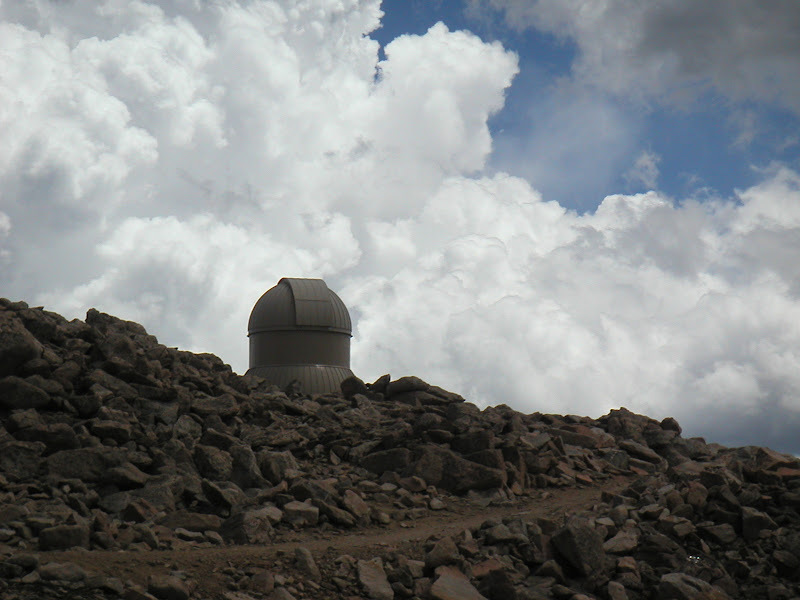 It turned out that the weather remained relatively stable, and I ended up riding Mount Evans twice, the second time starting in Idaho Springs.